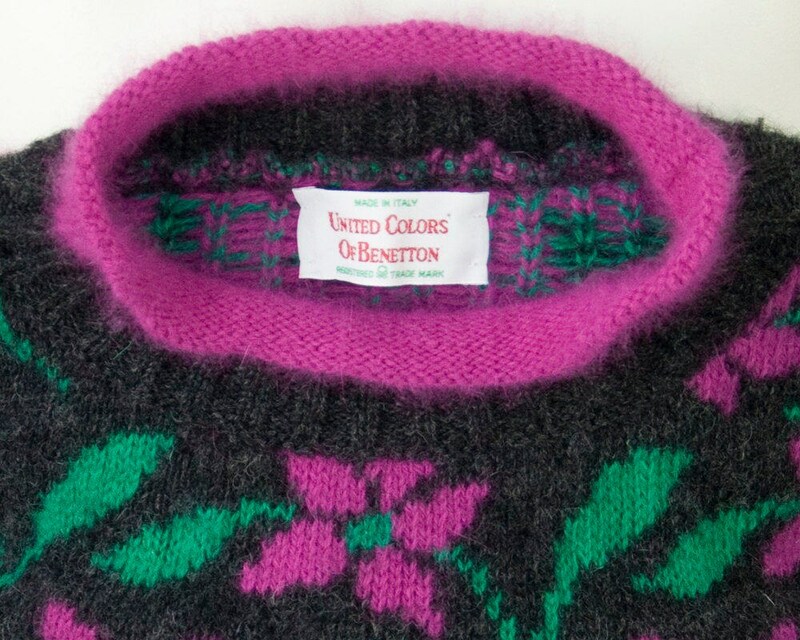 80s 90s vintage United Colors of Benetton sweater. 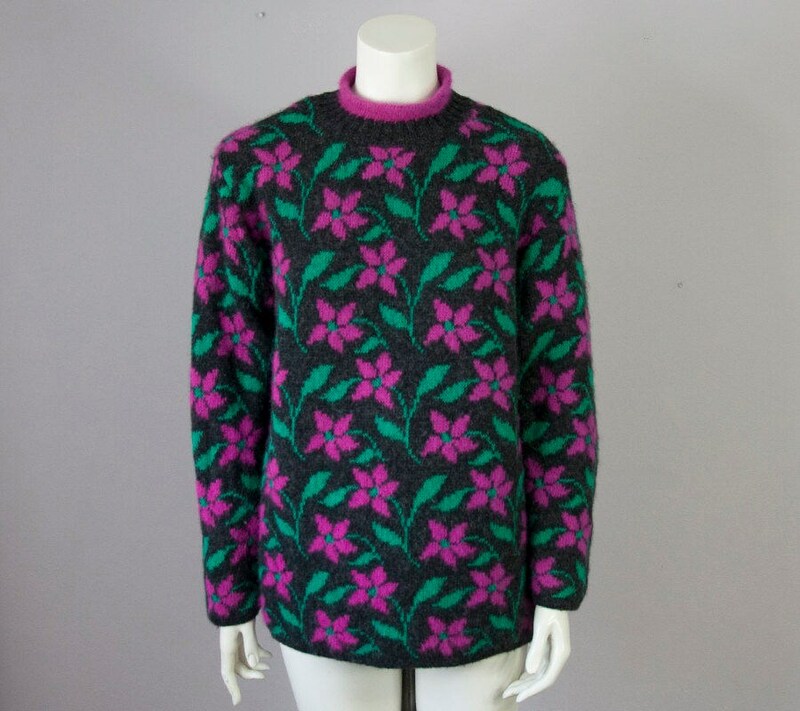 Soft warm knit. 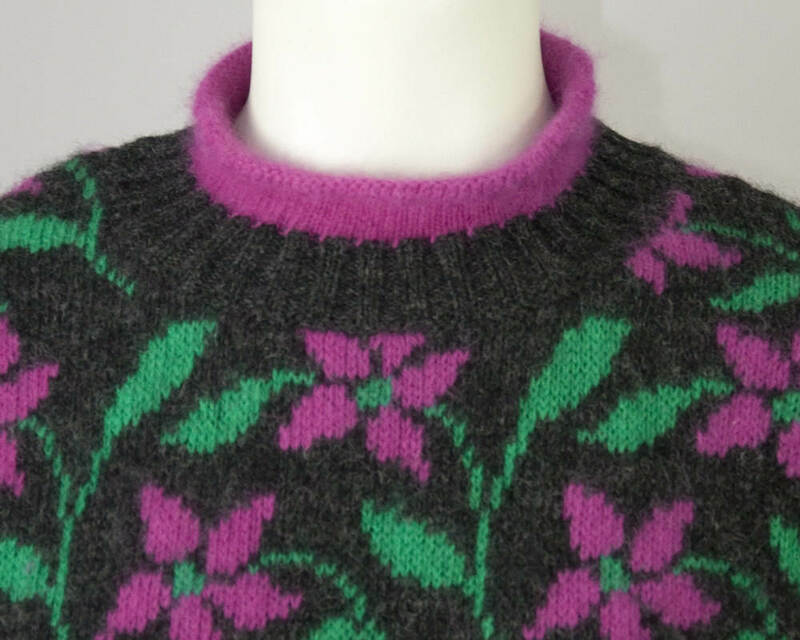 Charcoal grey with fuchsia and green floral design. 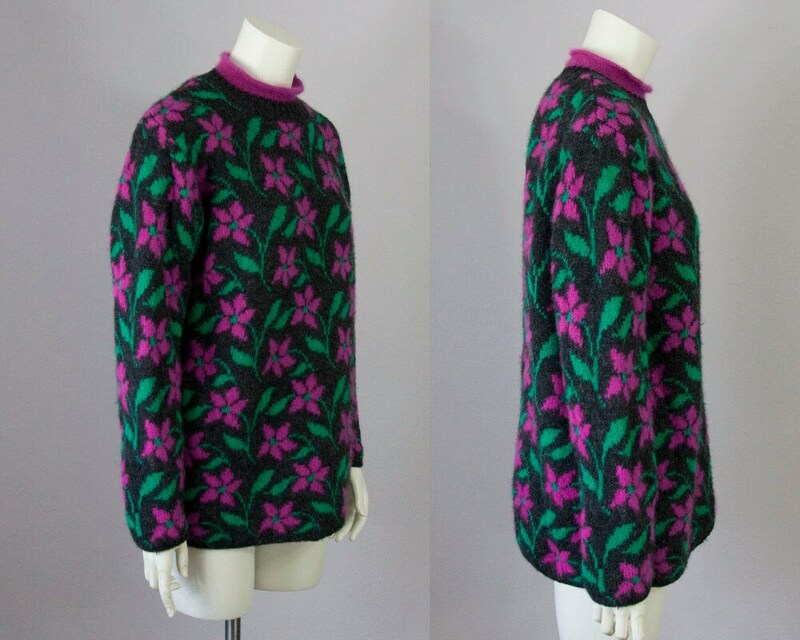 Fuchsia mock roll neck in a different fabric -- possibly angora. Slouchy tunic style. Made in Italy. Thick knit but does not feel heavy -- very soft. Modern Size: Small, Medium depending on desired fit -- Review measurements below to ensure a great fit. 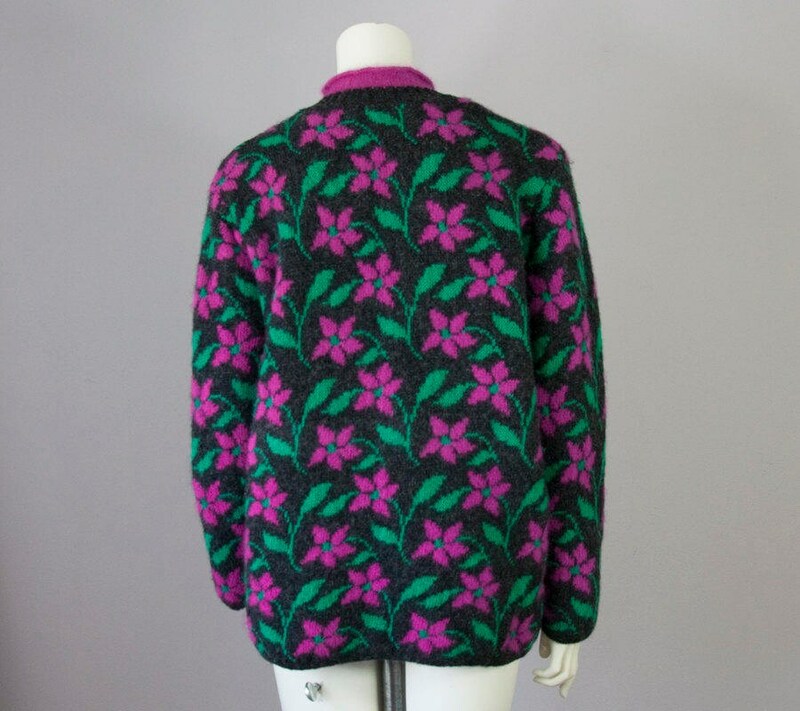 Care: n/a, best guess Hand Wash or Dry Clean -- this sweater has been hand washed.